10am to 1pm. Male figure. 10.00am to 1pm. 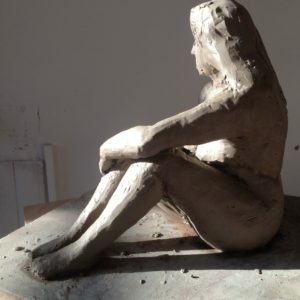 Sculpting a figure with wire and plaster. Cost £8 per week (Plus cost of bag of clay £7). Please note, a small additional cost, approximately £5 per piece made for firing. Hand Study – Three week Course, Wed mornings, 10th to 24th May. Cost £50 or £20 per week. Portrait Head Course – Six week course, Monday mornings, 5th June to 10th July. Cost £100 or £20 per week. 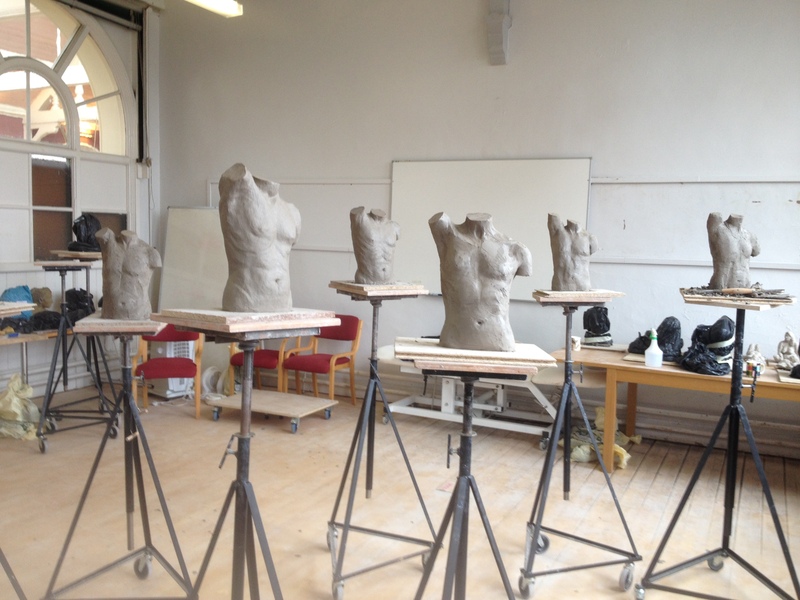 Figure Course – Six week course, Wednesday mornings, 7th June to 12th July.Cost £100 or £20 per week. Sculpture Group – Thursday evenings for six weeks from 8th June 7-9pm. Cost £8 pw. The next course will start on 27th February 2017. We will be sculpting a portrait head working from a professional life model. The course will run for six weekly sessions at 10:00am – 1:00pm.The course is led by Miranda Wakeman, a professional sculptor and qualified teacher who trained at Stafford College. The course cost is £100 – this includes the cost of clay but not of firing. Alternatively, you can pay £20 per week, subject to spaces being available. Beginners and advanced students are welcome. The next course will start on 1st March 2017. We will be sculpting a male torso working from a professional life model. 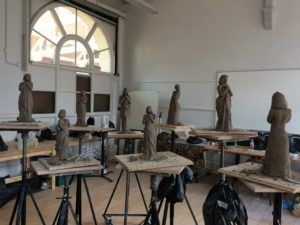 The course will run for six weekly sessions at 10:00am – 1:00pm.The course is led by Miranda Wakeman, a professional sculptor and qualified teacher who trained at Stafford College. The course cost is £100 – this includes the cost of clay but not of firing. Alternatively, you can pay £20 per week, subject to spaces being available. Beginners and advanced students are welcome. Untutored sessions with a professional life model run on Thursday evenings, 7pm – 9 pm, starting on 2nd March 2017 and run for six weekly sessions. All levels are welcome. 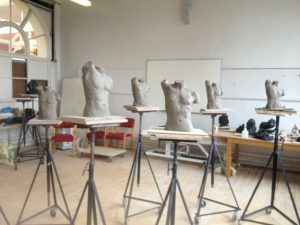 The sculpture group costs £48 for six weeks. Alternatively you can pay £8 per week, subject to spaces being available. The next course will start on 9th January 2017. We will be sculpting a figure working from a professional life model. The course will run for six weekly sessions at 10:00am – 1:00pm.The course is led by Miranda Wakeman, a professional sculptor and qualified teacher who trained at Stafford College. 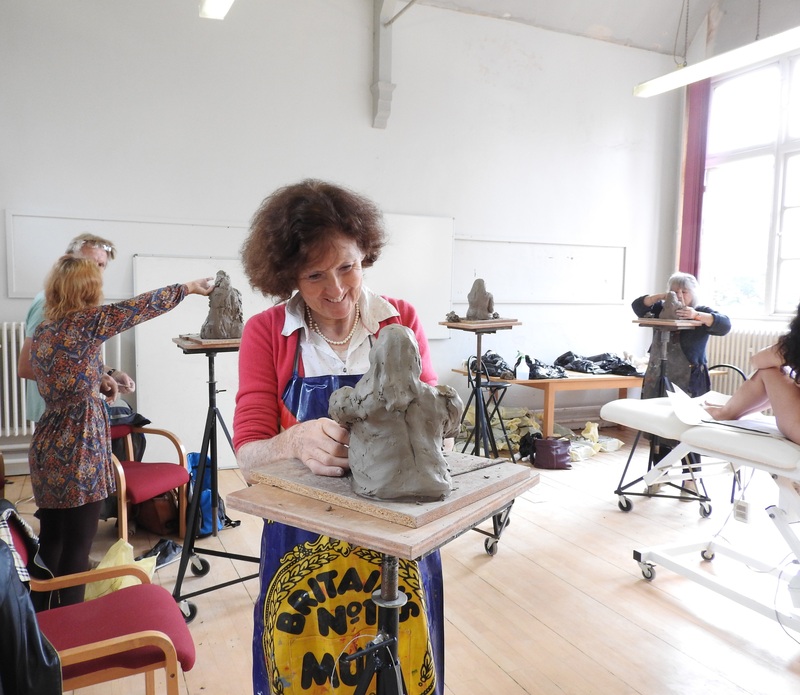 The course cost is £100 – this includes the cost of clay but not of firing. Alternatively, you can pay £20 per week, subject to spaces being available. Beginners and advanced students are welcome. The next course will start on 11th January 2017. 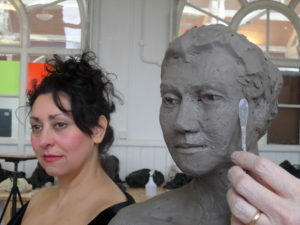 We will be sculpting a portrait head working from a professional life model. The course will run for six weekly sessions at 10:00am – 1:00pm.The course is led by Miranda Wakeman, a professional sculptor and qualified teacher who trained at Stafford College. The course cost is £100 – this includes the cost of clay but not of firing. Alternatively, you can pay £20 per week, subject to spaces being available. Beginners and advanced students are welcome. Untutored sessions with a professional life model run on Thursday evenings, 7pm – 9 pm, starting on 12th January 2017 and run for six weekly sessions. All levels are welcome. The sculpture group costs £48 for six weeks. Alternatively you can pay £8 per week, subject to spaces being available. given to beginners. The sculpture group costs £47 for six weeks. including the first bag of clay. Alternatively, you can pay as you go for £8 per week. 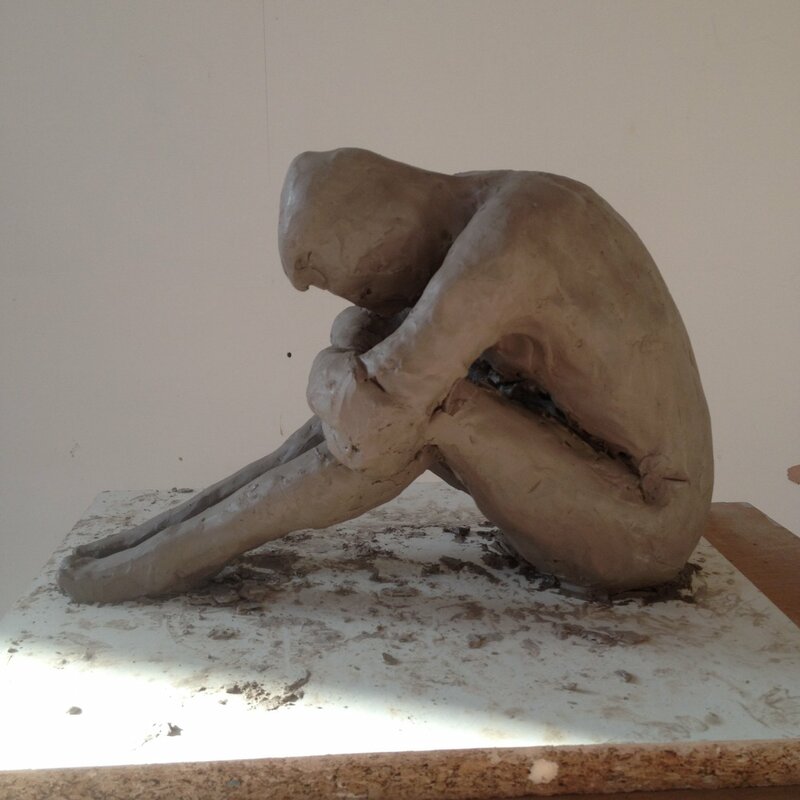 Sculpting with slabs of clay – How it went!